There was a sigh of relief among New Jersey elected officials that $540 million made it into the budget for the Gateway Tunnel. But is it a done deal? Plus, Councilwoman Gayle Chaneyfield Jenkins sits down with Michael Aron to discuss why she's running for mayor of Newark. As the lone challenger to incumbent Ras Baraka, how does she envision her path to victory? S2019 E9: Doug Steinhardt and "The Outsiders"
On The Record spotlights New Jersey's political newsmakers--how they voted, what they’re trying to accomplish, what their values are, and where they come from figuratively and literally. Some weeks the program focuses on a leader; other weeks it takes apart an issue with advocates and experts representing two or more sides. Sitting governors periodically appear to defend their records and promote their initiatives. 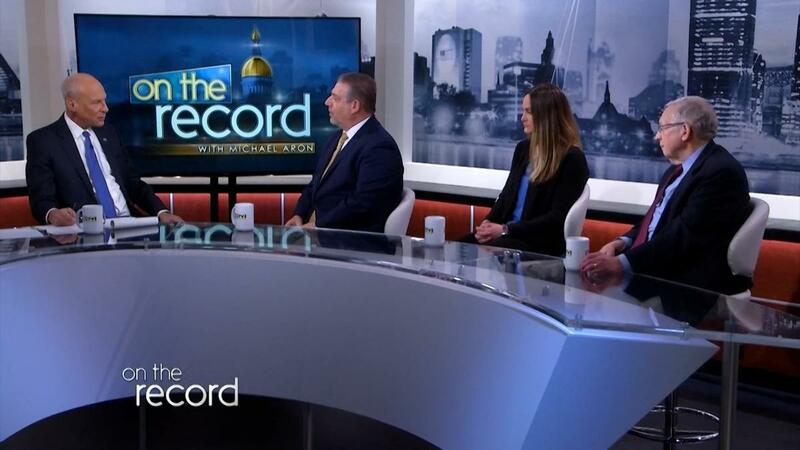 On the Record with Michael Aron is a production of Public Media NJ, Inc. in association with WNET. Support for On The Record is provided by Fuel Merchants Association of NJ, New Jersey Education Association, and New Jersey Manufactures Insurance. Promotional support provided by Observer Media.